The Society of Motor Manufacturers and Traders’ is to bring one of its key events to the Midlands next year when the automotive sector’s biggest trade show comes to the region for the first time. The SMMT’s Meet the Buyer event will relocate in 2016 to join Automechanika Birmingham, which takes place at the NEC from June 7-9. Meet the Buyer brings together automotive purchasers with suppliers who can meet their specific requirements. At the 2015 event in May, the SMMT arranged more than 300 one-to-one meetings for delegates, helping them win business in a global marketplace. Over the past five years, the event has made more than 600 successful business introductions. Automechanika Birmingham will see the SMMT and Messe Frankfurt partner to bring Automechanika – the world’s biggest international automotive trade fair brand – to the UK for the first time. Bringing together hundreds of automotive supply and aftermarket companies with national and international buyers, the show will provide the perfect platform for businesses to strike new deals and grow the sector in the UK. Automechanika Birmingham expects to host around 350 exhibiting companies and 10,000 trade visitors from the UK and abroad. To reflect its new surroundings, Meet the Buyer 2016 is also expanding in size and remit to include international buyers. Mike Hawes, SMMT chief executive, said, “The UK automotive supply chain is going from strength to strength, and SMMT will be doing its part to promote the sector when we host next year’s Meet the Buyer at Automechanika Birmingham. “British suppliers offer quality, value and innovation, with the added benefits of sourcing locally – reduced logistics costs and reduced risk. The UK automotive supply chain is currently performing well and growing. 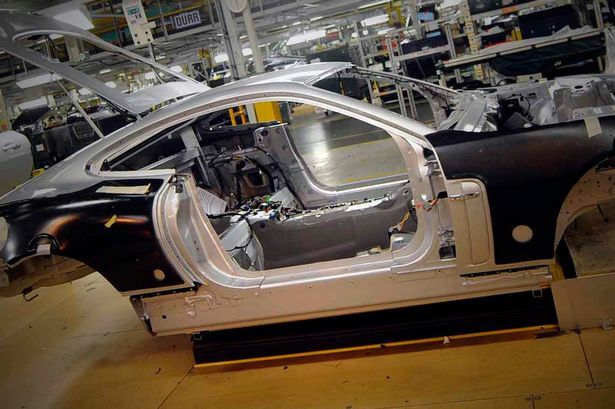 Recent figures from the Automotive Council show British vehicle manufacturers are now sourcing 41 per cent of components from UK tier-1 suppliers, compared to 36 per cent in 2011. Meet the Buyer will take place on the second day of the show on Wednesday June 8. Interested buyers and suppliers are encouraged to register their interest by submitting a profile via http://meetthebuyer.autosupplierfinder.com. Buyers at the 2015 event included Bentley, BorgWarner Turbo Systems, Ford Europe, General Motors, Hitachi Automotive Systems, Jaguar Land Rover, and Nissan.